Within all of us, there are certain universal qualities that express the essence of the human person. We prize these essential characteristics as values and strive to realize them in ourselves and in the world. These principles, such as goodness, truth, and compassion, have an adaptive function whereby if we follow them, we will have an objective vision toward ourselves and others, using adaptive cognitive schemas, and we will live in a virtuous state of being with adaptive emotional schemas. If our values and visions are threatened or discounted, we experience vulnerability and may develop a personality strategy to protect our sensibilities and to compensate for characteristics in our selves we fear might be lacking. This personality is usually an overly exaggerated expression of some valued quality of our true person. It attempts to defend and maintain our self in the face of our critics, to appease them, to gain their attention and approval, to win them over to our side, or to defeat them. Personality relies on repetitive thought, feeling, and behavioral patterns giving us a distorted subjective vision with maladaptive cognitive schemas that are driven by maladaptive emotional schemas or vices. When we are functioning from our natural person, our values and vision are clear and our problem-solving capacities are optimal. When we operate from the strategies of our personality, our values are conflicted, our vision is narrow and opaque, and our actions are impulsive, compulsive, scattered, and less effective. Core Value Tendency: ONES are attracted to and value goodness. They desire to be good persons, seeking to make the world a better place to live in. They want to realize all of their potentials and help others actualize theirs. They want to be all that they can be and help others do the same. Doing your best and living up to your potentials is what life is all about. Adaptive Cognitive Schema: The objective vision that keeps ONES aligned with their true nature and with reality is the realization that becoming all that they can be, coming to completion, wholeness, and perfection is a continually unfolding process vs a sooner- rather – than – later finished product. As long as ONES are living in accordance with their true nature, allowing the process of organismic self-regulation to occur, they are perfect. They cannot be other than who they are at the moment. Adaptive Emotional Schema: The state that accompanies ONES’ objective paradigm is serenity, a sense of inner wholeness and self support. Those who are serene are at ease with themselves, are relaxed with others, and are in touch with the present moment. Serenity responds where personal intervention is required and acquiesces when letting go is appropriate. Adaptive Behavioral Schemas: The actions that flow from an understanding of perfection as a process and a state of serenity involve a passion and habit for excellence and a desire to do things well. ONES have high principles, high moral standards, and high performance requirements. They are conscientious, dedicated, persevering, reliable, hard working, and industrious. They have a highly developed and practiced intuition for when someone or something is doing what it is supposed to do. A being is good when it is fully itself and when it is fully doing what it is meant to do. ONES constantly compare a present reality to its ideal state. They know what is missing and what should be there. This makes them natural quality control experts. Maladaptive Cognitive Schema: When ONES exaggerate their good qualities, they over-identify with the idealized self image of I am good; I am right. To compensate for a maladaptive belief that they are not good enough, and to keep themselves immune from criticism, they hold unrealistically high standards, trying to be perfect and do most things perfectly in order to be acceptable to others and to themselves. They habitually compare what is to what they think should be and reality falls short of their ideals and absolutes. Maladaptive Emotional Schema: As a consequence of never living up to their idealizations, ONES experience the passion of anger and resentment since no one (especially themselves) ever comes up to their expectations. They are angry because nothing is as right as it ought to be. And they are resentful because they aren’t recognized or rewarded enough for their efforts nor are they accepted for who they are. Life isn’t fair. Maladaptive Behavioral Schemas: Perennially perceiving the world as imperfect, and relentlessly feeling resentment about the shoddy state of affairs, ONES are driven to make things better. They tense their jaws, clench their teeth, bear down, and carry on. They interfere with the natural unfolding of life and events in an effort to make things perfect NOW. The better becomes the enemy of the good. It’s a challenge for ONES to leave things alone and just let them be. What is Avoided: Because they are trying hard to be good, ONES avoid experiencing or expressing their anger. Good boys and good girls shouldn’t be angry. They are either unaware of their anger or are reluctant to express it directly. Since they want to be right, they avoid and protest being wrong. They don’t like to think of themselves as being lazy, irresponsible, sloppy, etc. Defensive Maneuvers: ONES ward off unacceptable impulses and behaviors by doing the opposite of what they are tempted to do. This is called reaction formation. If they are tempted to take it easy, they work harder. If unwanted sexual desires arise, ONES become moralistic and Puritanical. If anger surfaces, they may rely on righteous indignation; that is, they have a right to be angry. Or they may sublimate their anger and wage the cosmic war against crud, crusading against injustice, inexactness, tardiness, sloppiness, etc. Childhood Development: ONES were rewarded for being good and excelling and punished for being bad and performing poorly. They were often “hero” children who did everything right to help out their parents. They hoped their being good would hold the family together. They started out with the sense that everything, including themselves, was fine as it was. But then significant people came along and informed them that their spontaneous responses weren’t O.K. This was the beginning of their “judging mind.” As ONES began to do something spontaneously, the judgment arose: “Is this good enough? Am I doing this right?” Eventually shoulds and abstract idealizations replaced wants and personal values. ONES came to believe they would be somebody if their standards were higher than everyone else’s. And they were nobody or worth nothing if they weren’t perfect. Non-Resourceful State: When ONES are under stress, they do more of the same, that is, they try harder, put out more effort, get more serious, and become more frustrated and resentful. When all their efforts still don’t get them affirmed or don’t satisfy their needs or fill their emptiness, they get discouraged, give up trying to fix things, point their criticisms toward themselves, pull the trigger, get depressed, and lapse into melancholy. In this non-resourceful state they feel misunderstood, victimized, taken advantage of. The world doesn’t appreciate or reward their efforts to make things better. Resourceful State: When ONES are in a resourceful relaxed state, they take themselves and the situation less seriously. They lighten up instead of getting heavier. They get in touch with their spontaneous playful side. They notice what’s right and what’s there instead of what’s wrong or what’s missing. They operate from the adaptive belief that they are O.K., even though they’re not perfect. They trust that the universe is unfolding as it should. It’s O.K., too. Trust allows them to go with the flow and not push the river, since it’s flowing by itself. They do what they find pleasurable and desirable, what they want to do instead of what they should do. In a resourceful place, ONES are optimistic, accepting and present to whatever is. I am therefore I am good replaces I’m perfect therefore I’m acceptable. Core Value Tendency: TWOS value and are attracted to love. They want to be generous persons, seeking to make the world a more loving place to live in. Harmonious intimate mutual relationships are what life is all about. Adaptive Cognitive Schema: The proper understanding of freedom enables TWOS to live within the natural laws and limits of reality. Interdependence, which lies between the extremes of dependence/codependence and an exaggerated independence, is the mature stance of adults. Being free means TWOS can give or not give, receive or not receive. Adaptive Emotional Schema: The state that accompanies TWOS’ objective paradigm is humility, the virtue which realistically estimates what kind and what amount of love another needs in contrast to giving whatever is believed will bring approval to the giver. Acting as a reality principle, humility acknowledges limits and sets boundaries, enabling TWOS to say no as well as yes. Adaptive Behavioral Schemas: The actions that follow from an understanding that love involves an ebb and flow of giving and receiving along with the habit of humility include an exquisite empathic attunement not only to the needs of others but also to their own needs. TWOS have an intuitive sense for what others need and are feeling. They are naturally giving, generous, and helpful. They feel fulfilled being able to give to others and are supportive, nurturing, considerate, and appreciative. TWOS are sociable, friendly, and approachable. They naturally move toward people with love and affection. They praise others and build them up, giving compliments easily. TWOS are natural listeners and counselors. They also speak up for others, especially the underprivileged and handicapped. Maladaptive Cognitive Schema: When TWOS exaggerate their loving qualities, they over-identify with the idealized self image of I am loving; I am helpful. To compensate for their maladaptive belief that others will not meet their needs, they turn their attention toward meeting other people’s needs, hoping that what they do unto others will be done unto them. They believe it is only after meeting others’ needs that their own will be taken care of. Maladaptive Emotional Schema: Perceiving themselves as helpers in a needy world, TWOS believe they have unlimited resources for serving others that never need replenishing. They are not needy, but they are needed. The resultant disposition is pride. TWOS are proud of their giving nature and seek to be important is people’s lives in order to feel worthwhile. Maladaptive Behavioral Schema: Perceiving the world as needy, and feeling proud of their self sacrificing nature, TWOS become compulsive helpers, trying to please others to get them to like them and meet their needs. TWOS give strokes to get strokes, doing for others what they hope others will do for them. Habitually moving towards people, it’s hard for TWOS to move against people in anger or confrontation. It’s conflictual for them to give negative feedback because they don’t want to hurt others. It’s also difficult for TWOS to move away from people, leaving them alone to stand on their own two feet, or fall flat on their face. The TWOS’ task is to rescue. What is Avoided: Because they strive to be loving, TWOS avoid their own needs. To think about themselves or to express their needs would be selfish. They are reluctant to heed their own agendas, feelings, and desires. Defensive Maneuvers: TWOS avoid their needs by repressing them so that they are not even aware of them. Or they may be aware of them, but choose to suppress them since their job is to lighten other people’s burdens not encumber them with their own needs. Childhood Development: TWOS got approval for helping and giving and not asking for much in return. They learned how to be sweet, funny, cute, and charming to get attention and win affection. They became the parent in the family to hold things together. They learned that being pleasing and altering themselves to meet others’ needs was a good way to survive and get their needs met. Directly expressing their own needs met with indifference, disapproval, or abandonment. TWOS came to believe that their own needs wouldn’t be met until they first met other people’s needs. They are very vulnerable to rejection and not being appreciated for what they do for others. You’re nobody unless somebody loves you and you’re somebody when you’re needed. Non-Resourceful State: When TWOS are under stress, they do more of the same, that is, they become more helpful and travel around the “rescue triangle.” On this non-resourceful journey, they first assume the role of rescuer. When they don’t get the affirmation they need and believe they deserve, they feel victimized and play the martyr, reproaching others for not appreciating and caring enough for them. They then lose touch with their gentleness and compassion and become hard and tough to protect their self-esteem. They become bitter, jaded and distrustful of others and become a persecutor, making others feel guilty and desiring to get even with them. Resourceful State: When TWOS are in a resourceful relaxed state, they get in touch with their own needs, wants, and feelings. They put their needs on the table and negotiate getting them met. They allow others to give to them freely without doing anything to earn their love. They can say “no” even though they feel guilty. They allow others to be more autonomous and don’t foster their dependence on them. They find other ways of expressing themselves besides giving, such as developing their creative, artistic, cultured self and capacities. Now able to say to themselves I am special, they believe they are lovable just because they are. I am therefore I am loving replaces I give in order to be accepted. Core Value Tendency: THREES are attracted to and value efficiency, industriousness, and competence. They want to be productive persons, seeking to make the world a more efficient place to live in. Bringing projects to completion, accomplishing goals, working effectively is what life is about. The cosmos is an orderly harmonious system and THREES work to keep it running smoothly. Adaptive Cognitive Schema: Hope is the principle and attitude THREES have to keep them living in the real world. Hope believes the cosmos works effectively within and according to its own laws. It will continue to run smoothly even when THREES are not working. Entropy won’t occur the instant THREES take time off. The most effective way to function is in harmony with these natural, personal, and social norms and processes. Adaptive Emotional Schema: The state that accompanies THREES objective paradigm is truthfulness, the acceptance and expression of their inner self as it actually is without covering, exaggerating, or marketing it with external images, roles, and personas. THREES remain true to themselves and their commitments vs assuming whatever appearance they believe will make them look successful in the eyes of others. Adaptive Behavioral Schemas: THREES have a natural organizational ability, easily assessing a situation, setting goals, and working efficiently and single mindedly toward them. They know how to get things done. They are optimistic, enthusiastic, and self confident. THREES are motivated and motivating. Being good salespeople, they intuitively know how to present themselves and their product. They can translate ideas into workable saleable systems. They are good team people and effective managers. They are pragmatic and can compromise to get projects on line and accomplished. They have the ability to sense what others want and expect from them and can adapt to fit that image thereby winning people over to their side. Maladaptive Cognitive Schema: When THREES exaggerate their efficient qualities, they over-identify with the idealized self image of I am successful. To compensate for their maladaptive belief that they are failures and will be rejected, they become over-programmed, overly efficient, and can become workaholics. Maladaptive Emotional Schema: Perceiving themselves as successful entrepreneurs, THREES believe they are above normal protocols and are not constrained by the laws and conventions that others live by. They deceive themselves and others into believing how successful they are. Their energy goes into their image, their public self, and the persona they think others want them to be. Over identifying with their roles and projects, they convince themselves this is who they really are. Maladaptive Behavioral Schemas: Perceiving the world as disorganized, and presenting themselves as efficiency experts, THREES become workaholics, falling into Type A behavior, driven to succeed and climb the ladder of status and prestige. It’s hard for THREES to stay with their own feelings, desires, and preferences. It’s important to them to look good not to feel good. Work takes precedence over self. It’s conflictual for THREES to do something unpopular, to espouse values that get unfavorable audience response. They are pragmatists. The end justifies the means. If it works, it’s good. What is Avoided: Since they strive to be successful, THREES avoid failure. They don’t undertake projects unless they sense they can complete them. Their motto is: In life there are no failures, only learning experiences. Defensive Maneuvers: THREES avoid failure by identification with their successful image, role, and projects. They change appearances, careers, interests in a chameleon-like manner to keep up with whatever image is currently popular. Childhood Development: THREES got approval for their achievements. Their worth derived from what they did instead of from who they were. Performance and image were rewarded in place of personal disclosure and emotional connections with others. Looking good, getting ahead, being successful were emphasized in their family. Being adaptable helped them survive. Assuming the role and persona others wanted them to be increased their recognition, status, and prestige. Non-Resourceful State: When THREES are under stress, they do more of the same, that is, they become more efficient and organized, work more frenetically, take on more projects, are on the go more, shake more hands, and advertise themselves more. When this doesn’t work, they turn off their smooth running machine and stop. Doubting, numbing, neglecting themselves, avoiding responsibilities, and resigning themselves to failure, they go from exertion to exhaustion. They drop out and turn off. In this depressed state, their belief is their efforts don’t matter, so what’s the difference, why bother. Resourceful State: When THREES are in a resourceful relaxed state, they get in touch with their inner feelings, preferences, and desires. They are honest and resist changing themselves to manipulate others. They show their true colors. They are loyal to themselves and to their values. They stay with what they believe in vs switching to what is popular. They are also loyal to others. They are trustworthy as well as competent. This combination makes them good leaders. They cooperate with others vs compete with them. They trust that others will get things done in their own way and in their own time. They embrace failure as a natural part of life. This loosens the hold of their image and helps them connect with their true self and with others. Now able to say to themselves I am loyal, I do what I ought to do, they believe they are acceptable as themselves. I am therefore I am active replaces I perform and produce therefore I am O.K. Core Value Tendency: FOURS are attracted to and value originality, authenticity, individuality, and artistic expression. They desire to be sensitive, refined persons, seeking to make the world more beautiful. They value the inner journey and are on the quest for the Holy Grail, their real self. Honoring your uniqueness and deeply connecting to others and to the world is what life is all about. Adaptive Cognitive Schema: The objective vision that keeps FOURS aligned with their true nature and with reality is the realization that they are already original. They already are in possession of what they are searching for. The treasure is buried in the field of their inner self. They are already connected to their source, the ground of their being and so are already connected to their real self and to the real selves of others. They realize they belong in this world and are not missing anything essential. Adaptive Emotional Schema: The state that accompanies the FOURS’ objective paradigm is equanimity, the experience of inner balance and outer harmony. A person in the state of equanimity feels complete and fulfilled in the present moment. Each moment they have everything they need to be perfectly happy. Events are responded to in a realistic appropriate manner without exaggeration or dramatization. Adaptive Behavioral Schemas: The attitudes and actions that flow from an acceptance of one’s authentic inner nature and from a state of equanimity are an exquisite sensitivity, appreciation and respect for all that is. FOURS have an intuitive aesthetic sense and an innate sense for quality; that is, they have good taste and class. Their sensibilities put them in touch with their own and others’ moods, being especially attuned to pain and suffering. FOURS have a highly active imagination and fantasy life. They are romantic, nostalgic, and poetic. FOURS like to ritualize human experiences, making the ordinary extraordinary and the extraordinary ordinary. They can see the universe in a grain of sand and can turn a grain of sand into a pearl. FOURS easily attune themselves to the mood and spirit of their surroundings. Maladaptive Cognitive Schema: When FOURS exaggerate their sensitive qualities and uniqueness, they over-identify with the idealized self image of I am special and unique. To compensate for a maladaptive belief that they are defective and faulty, and to prevent themselves from being abandoned, they seek to be special. To survive they believe they must be highly individual and make a lasting impression on people so they won’t be forgotten. They believe they must outclass their opponents. Their habit of attention goes to what is missing instead of to what is there. Maladaptive Behavioral Schema: Perceiving the world as abandoning, and feeling envious of others’ qualities and possessions, FOURS are driven to make themselves special and uncommon. They become dramatic, moody, misunderstood, tragic romantics, pushing themselves to live at the edges of experience. Fantasies become more satisfying than real life. Relationships are passionately engaged in and just as intensely pushed away. Seeking connections, FOURS fear abandonment, and become aloof and feel alienated. What is Avoided: Because they want to be special, FOURS avoid being ordinary. Being common, just like everyone else, is the worst thing FOURS can imagine. Living within the middle range of experience, without extreme highs and lows, is boring and deadening. Defensive Maneuvers: FOURS steer away from being ordinary through uncommon experiences and expressions. No one feels as deeply as they do, no one experiences life in the same way they do. Mere words are not enough to express their responses; they need poetry, music, dance, painting, some kind of artistic sublimation to capture their experience. Childhood Development: FOURS often felt abandoned or unwanted by a parent or caretaker. They believed this was because there was something wrong with them or they weren’t good enough. So they tried to make themselves into special persons that would be noticed and not left behind. If they made a strong emotional impact, others wouldn’t leave them. FOURS thought of themselves as living at the extremes, at the edges, instead of in the middle with everyone else. Very early on they felt different from others, as though they were delivered to the wrong planet. Non-Resourceful State: When FOURS are under stress, they do more of the same, that is, they exaggerate their moods, feel more misunderstood and hurt, and become aristocrats in exile. They turn their anger on themselves and get more depressed. FOURS get stuck in their feelings instead of letting them energize them into constructive action. Denying their own needs and helping others instead of dealing with their own pain, they become suffering servants. Resourceful State: When FOURS are in a resourceful relaxed state, they seek and find wholeness within them. They get connected to their real feelings vs abandoning themselves then looking for fulfillment from someone else. They stay in the present and realize that right now they have all they need to be perfectly happy. They aren’t missing anything. They re-own their goodness. Taking an action oriented, problem-centered approach, they stay with the facts and don’t exaggerate their emotional response or amplify the stimuli. They maintain their equanimity. They believe they are already original, connected, and belong. They understand they are home and already have what they are looking for. I am and so I am both unique and universal replaces I am special therefore I am somebody. Core Value Tendency: FIVES are attracted to and value wisdom, knowledge, and learning. They want to understand the world and make it a more reasonable place to live in. Having insights, learning about the nature of things, and seeing how everything fits together is what life is all about. Adaptive Cognitive Schema: The objective vision that keeps FIVES aligned with their true nature and with reality is the realization that real understanding and wisdom come from experience, participation, being involved with people and the world. And being known, seen, and revealed (transparent) is just as vital as knowing, seeing, and revealing. Adaptive Emotional Schema: The state that accompanies the FIVES’ objective paradigm is non-attachment, which is the experience of love as flowing in and out vs being withheld from outside and bottled up inside. The energy of life flows freely into and out of the self. The detached person takes in just what is needed and lets the rest go. The world is engaged and joined for the mutual enrichment of both world and self. Adaptive Behavioral Schemas: The combination of an appreciation of wisdom as involvement and interaction along with the state of non-attachment lead to the ability to both detach and be observant and synthetically get the whole picture as well as analytically getting to the heart or essence of the matter. FIVES inner observer or fair witness is well developed allowing them dispassionately and objectively to consider situations and events. They can put together disparate pieces of information into a unified system and distill complex situations into concise insights and pithy statements. FIVES can move ideas and images around in their head facilely. They can communicate clearly and succinctly. They are comfortable with solitude. Maladaptive Cognitive Schema: When FIVES exaggerate their intellectual qualities, they over-identify with the idealized self image of I am wise and perceptive. To compensate for the maladaptive belief that they don’t know enough to act assuredly and assertively and so are inadequate, and to keep themselves safe from criticism, they try to be wise and invisible. FIVES don’t want to look foolish. They move away from involvement and up into their heads. They believe if you don’t know what they’re thinking, you can’t criticize them. And if you don’t know their position, you can’t shoot them down. FIVES are overly sensitive and may exaggerate or misperceive intrusions, demands, being engulfed and taken over. They believe the world is depriving and/or intrusive. FIVES don’t want to look foolish. Maladaptive Emotional Schema: As a consequence of moving away from the world and attempting to live solely from their own resources, FIVES experience the passion of avarice. They are greedy for knowledge and information to keep them safe and unassailable and are stingy with their ideas, feelings, time energy, etc. Operating from a scarcity mentality, FIVES hold on to what they have and withhold from others lest what they have be taken away from them. Maladaptive Behavioral Schema: Perceiving the world as depriving and intrusive, and feeling greedy and avaricious about this uncaring state of affairs, FIVES are inclined to move away from the world, retreating into the sanctuary and privacy of their minds. They tend to be loners who view life from the sidelines. They need to understand something completely before they make a decision and act. It is difficult for FIVES to move against people and confront them to protect their space and ask for what they want. It’s also difficult to move toward people and express affection. FIVES are afraid of and avoid their feelings and go instead to their ideas. It’s hard for FIVES to stay connected or be too exposed. What is Avoided: Because they want to appear wise and guard their privacy, FIVES avoid feeling empty or being emptied. FIVES avoid situations where they don’t know what they are supposed to do. Knowing the guidelines, the rules of the game, what is expected and allowed helps them enter the game. When they are afraid they’ll be taken advantage of, they stay out of the game. Defensive Maneuvers: FIVES ward off uncomfortable feelings and situations through isolation and compartmentalization. To avoid feeling empty or drained, FIVES isolate themselves in their heads away from the intrusions of their feelings and other people. They separate or compartmentalize their thoughts from their feelings. That’s why when you ask FIVES what they’re feeling, they tell you what they’re thinking. They also separate one time or period of their life from another. With FIVES, out of sight tends to be out of mind vs making the heart grow fonder. Childhood Development: FIVES may have experienced their parenting figures as being either too intrusive or too aloof and depriving. They didn’t experience their environment as empathic, as coming to them when they needed something and leaving them alone when they were playing contentedly. As a result they withdrew and began to do everything alone. By distancing and dissociating themselves from what was going on around them, they felt safer. To survive, FIVES learned to keep their feelings and thoughts to themselves. The intellectual world became more controllable and secure than the world of feelings and the interpersonal world. Non-Resourceful State: When FIVES are under stress and do more of the same, they remove themselves and retreat further into their heads. They feel inadequate and unable to influence the situation and so withdraw. They become contemptuous of others instead of reaching out to them. They fear pain and avoid it. They rationalize or trivialize to avoid being assertive. They get into planning instead of doing. They distract themselves or space out instead of focusing, deciding and acting. Resourceful State: When FIVES are in a resourceful relaxed state, they get in touch with their personal power and energy. They say to themselves: “I am powerful; I can do.” They move down into their body and feelings instead of up into their head and thoughts. They insert themselves in the situation, believing they can change it. They move towards and against others as well as away from them. They make contact and get engaged and learn through experience vs vicariously. They set boundaries for themselves directly rather than by withdrawing. They ask for what they need and let go of what they don’t need. I am therefore I think and I am connected replaces I think therefore I am and I think in order to figure out how I’m supposed to be and how I’m supposed to get connected. Core Value Tendency: SIXES are attracted to and value loyalty. They desire to be faithful, conscientious, responsible persons, keeping their word and honoring their commitments. They want to make the world a safer, more secure, more reliable, trustworthy place to live in. Doing your duty and honoring your traditions is what life is all about. 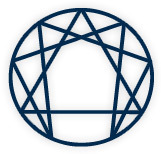 Adaptive Cognitive Schema: Faith is the objective principle that keeps SIXES connected to their true self and to reality. When SIXES believe in themselves and in their inner authority, they have the certitude that they are already on the side of Being. The Force is with them. They believe the universe is ultimately trustworthy and is out to do them well, not to do them in. When SIXES are in touch with their genuine self and others’ true selves, they are neither afraid nor need to prove their strength and loyalty. Courage and commitment are naturally present. Adaptive Emotional Schema: The state that accompanies the SIXES objective paradigm is courage, an inner strength that comes from being in touch with one’s inner self and with the objective laws of reality. Courage involves taking responsibility for one’s own beliefs, decisions, and actions. It is the “courage to be” oneself. Any organism spontaneously responds to protect itself and what it values. Adaptive Behavioral Schemas: Faith and courage lead to being semper fidelis and semper paratus, always faithful and always prepared. SIXES actively scan their surroundings for what might go wrong. They have an intuitive sense for danger and so are rarely caught off guard. SIXES respond well in emergencies because they are usually prepared for them. When crises arise, they respond spontaneously and effectively. Since SIXES are conscientious, responsible, and value doing their duty, they make excellent stabilizers and maintainers in organizations and systems. They can be trusted to be reliable leaders and faithful followers. Because they keep their word, SIXES manifest a stick-to-it-ness and their commitments can be counted on. Maladaptive Cognitive Schema: When SIXES exaggerate their loyal qualities, they over-identify with the idealized self image of I am loyal; I do my duty. To compensate for a set of maladaptive beliefs that they are not strong or faithful enough, that they may be cast out of their group, that they are likely to be harmed, they become overly suspicious and circumspect, doubting their own orthodoxy and ability to protect themselves and doubting the good intentions of others. The world is seen as a dangerous place that needs to be monitored, guarded against, and restrained. Maladaptive Emotional Schema: As a consequence of living in an unpredictable and hostile world, SIXES experience the passion of fear. Mistrusting their own common sense and inner authority, they fear they may not be up to the task or challenge, and may let others and especially authority down. They fear the judgments and actions of authorities. Maladaptive Behavioral Schema: Perennially perceiving the world as threatening and dangerous, and feeling fearful most of the time, SIXES adopt either a phobic or counterphobic stance. From a fearful reactionary place, they let their worries inhibit them, doubting their decisions and delaying their actions. From a counter-fearful position, they impulsively push through their fears, often recklessly pursuing, attacking, or acting out the very thing they are afraid of. What is Avoided: Seeking to be safe, phobic SIXES avoid being rebellious or devious. Counterphobic SIXES avoid being caught off guard with no exits. SIXES avoid ambiguous ideas, positions, relationships, and situations. They want things clear and want to know where other people really stand on issues. They can be dogmatic, fanatic, vigilantes, brave and daring to compensate for feeling phobic. SIXES may avoid making their own judgments and decisions without the confirmation of someone else. They don’t trust their spontaneous reactions. Defensive Maneuvers: SIXES ward off unacceptable impulses and behaviors by projecting them onto others, thereby keeping them away from their sense of self. Instead of acknowledging their own anger at having their inner authority encroached or disrespected, SIXES project their anger onto others and then experience the world as hostile and threatening. They give away their authority and then either fearfully go along with what they are told or challenge any external authority in a reactionary manner. SIXES may either become defenders of the faith or conscientious objectors. Childhood Development: SIXES often had caretakers who did not wield their authority well. They may have been abusive, authoritarian, absent, overly protective, or inconsistent. SIXES learned the world was dangerous and unreliable. They developed a wary ambivalent attitude toward authority figures. Either they wanted to get authority on their side to protect them or they needed to oppose authority to protect themselves. Their “fearful mind” developed to help them sense and ward off danger, protecting them from being caught off guard or betrayed. Non-Resourceful State: When SIXES are under stress, they trust themselves less and become more worrisome and indecisive. They might become more dogmatic and orthodox to resolve their doubts. Or they might become more suspicious of others and be more rebellious against any form of authority. They take on more projects, get busy and run around instead of dealing with their inner fears. They may assume a role or identify within some group to feel more secure, becoming devoted followers or loyal middle managers. Resourceful State: When SIXES are in a resourceful relaxed state, they get in touch with their inner authority. They trust their instincts and have faith in themselves. They accept the responsibility for their own choices and act on them courageously. They believe they can take care of themselves in an emergency. They believe the world is on their side vs against them. They remain calm and say to themselves: “I am settled” vs I am upset. They make molehills out of mountains instead of vice versa, realizing they tend to imagine the worst, blow things out of proportion, and see danger and evil intentions where there are only inconveniences and inadvertences. They find truth in all sides of an issue vs polarizing issues into who is on their side and who is against them. I am therefore I am courageous replaces I am loyal therefore I’m O.K. Core Value Tendency: SEVENS are attracted to and value joy, variety, and excitement. They desire to be happy persons, seeking to make the world a more delightful place to live in. SEVENS want to taste and experience all the possibilities life has to offer. Having fun and being positive is what life is all about. Adaptive Cognitive Schema: The objective vision that keeps SEVENS aligned with their true nature and with reality is the realization that reality exists only in the here and now and reality unfolds through action and work in the present. Perspiration is as important as inspiration. Living in accordance with what is, with the objective plan of the universe is more satisfying than living out of one’s own unrealistic plans and fantasies. Adaptive Emotional Schema: The condition that accompanies the SEVENS’ objective paradigm is sobriety, which involves a sense of proportion. Sobriety means living a balanced life in the present moment. The sober person takes in only as much as is needed and expends only as much energy as is called for. Fulfillment comes from living a temperate reasonable life-style. Happiness is the result of living and working in the present. Adaptive Behavioral Schemas: Persistent work in the present and bringing projects to completion are behaviors that flow from responsible action and the virtue of sobriety. Work and play become indistinguishable when you do what you love and love what you’re doing. SEVENS have a great appreciation for life and want to celebrate and enjoy it. Able to find some good in everything, they have a childlike responsiveness to the world. Optimistic, vivacious, creative, and full of interesting ideas, they have an intuition for future possibilities and are great visionaries. They have a sense for what might go right, what will be a happy outcome. Maladaptive Cognitive Schema: When SEVENS exaggerate their joyful qualities, they over-identify with the idealized self image of I am O.K. To compensate for a maladaptive belief that their options are limited and they are on the verge of being bored or depressed, they overindulge the pleasure principle, seeking to maximize enjoyment and minimize pain. They dislike having their options limited by the reality principle that says they must accommodate to what is and occasionally do what they have to do vs only doing what they want to do. They become compulsively optimistic, seeing the world through rose-colored glasses. They become addicted to highs and only want to have good experiences. By staying up, SEVENS try to avoid every feeling down. Maladaptive Emotional Schema: By believing they must stay above and ahead of pain, SEVENS experience the passion of gluttony, if a little pleasure is good, more enjoyment is better. SEVENS develop a hedonistic approach to life seeking to spice up their life by having ever more interesting and exciting experiences. They opt for a fun-filled if not a fulfilled life. Maladaptive Behavioral Schema: Perceiving the world as their oyster and fostering a glutinous life style, SEVENS are driven to make things more exciting and fun. They overindulge their imaginations, coming up with fantastic schemes and plans. They keep proposing new options and possibilities. They find it difficult to stay with one project or relationship for a long period of time. They may flit from one interest to another, filling their lives with fluff. What is Avoided: Because they are trying hard to be happy, SEVENS avoid experiencing or expressing any pain or suffering. When something or someone ceases to be fun, SEVENS may drop them and move on to more novel adventures. They get nervous when they only have one thing to attend to or only have one option available. They don’t believe any good can come from quiet and darkness and instead seek distractions and light, whether it be light-hearted or light-headed. They avoid getting too heavy or serious. Defensive Maneuvers: SEVENS avoid suffering and pain through sublimation. They program their computers for pleasant experiences and nothing computes or reaches them that’s not nice. They look for the silver lining in dark clouds and make sure everything comes up roses. Like alchemists, SEVENS turn dross materials and drab circumstances into precious experiences and happenings. Even death becomes an interesting trip. Childhood Development: SEVENS learned that a little sugar helps the medicine go down and honey gets you what you need faster than lemon can. A cheerful pleasant disposition pleased their parents and got them approval. Entertaining others and being the life of the party brought its social rewards. SEVENS may not have experienced much pain or humiliation in their childhood, or if they did, they laughed at their hurt instead of being brought down by it. They found that people were more interested in their stories than in their pain so they became master storytellers. Non-Resourceful State: When SEVENS are under stress, they may intellectualize, spiritualize, sublimate, and plan more to avoid confronting painful situations. They get further into fantasy and farther from doing. They may try to avoid work more, distract themselves, and attempt to lighten things up. If all of the above don’t work, they may get resentful, critical, and disappointed that reality is raining on their parade and their fantastic expectations aren’t being met. Resourceful State: When SEVENS are in a resourceful relaxed state, they channel their energies and stay focused vs scattering and getting distracted. They say to themselves: “I am wise and perceptive” instead of I’m a lightweight. They put their creative bursts and inspirations into a system and structure. They stay with a project or interest, going deeply into it, until they really understand and savor the experience instead of being a dilettante. Now able to be still and observant, they appreciate silence and solitude. Practicing detachment and sobriety, they stay in the present taking in only as much as they need and expending only as much energy as the situation requires. I am therefore I delight replaces I have to be up to be accepted. Core Value Tendency: EIGHTS are attracted to and appreciate power. They desire to be strong, independent, straightforward, assertive persons, who use their strength and influence to make the world a more just place to live in. They value equity, the equal distribution of power, and show a concern for the underprivileged and disenfranchised. Being your own person, doing your own thing, protecting your own is what life is all about. Adaptive Cognitive Schema: The objective principle that keeps EIGHTS aligned with their real self and with reality is the realization that the laws of the universe are inherently just and that what goes around, comes around. Justice means EIGHTS don’t have to enforce or vindicate the laws of the universe. Justice will out and the universe will ultimately be fair. “Vengeance is mine, saith the Lord” vs saith the EIGHT. Adaptive Emotional Schema: Innocence is the attitude that flows from the EIGHTS’ objective paradigm and keeps EIGHTS connected to their better self, to others, and to reality. Innocence is the disposition of not harming, expressed by the attitude of why would you want to harm anyone and why would anyone want to harm you. Innocence experiences each moment freshly, approaching life and expressing love as a childlike response to the current situation without cynical judgments or jaded expectations. Adaptive Behavioral Schemas: Forceful actions that follow from a proper understanding of justice and from an attitude of innocence are tempered by a compassionate concern for oneself and others. EIGHTS can tell the truth, tell it like it is, in a way that is challenging and up-building while not being punitive or tearing down. They are self confident, self-assured, magnanimous, good leaders, energized by a challenge and appreciating a good contest. EIGHTS can move against others to get what they need and to protect their territory. They can take charge, act on their own, and get things done. They enjoy exerting energy, protecting the weak, and empowering the disenfranchised. Maladaptive Cognitive Schema: When EIGHTS exaggerate their powerful qualities, they over-identify with the idealized self image of I am powerful; I can do. To compensate for the maladaptive beliefs that they are going to be neglected, not listened to, and not have their needs met, and that they are going to be affronted and taken advantage of, they become overly offensive. On the lookout for challenges and injustices, they survive by being strong, tough, and fierce. Maladaptive Emotional Schema: As a consequence of perceiving the world as hard, hostile, and uncaring, EIGHTS experience the passion of lust. For fear they are not going to get what is their due, they grab as much as they can. You only go around once in life, so live it with all the gusto you can. EIGHTS do everything with intensity. They work hard, play hard, love hard, etc. Maladaptive Behavioral Schema: Perceiving the world as hostile, and feeling lustful and intense much of the time, EIGHTS develop a forceful, grabbing, take charge attitude toward the world. They use their power to protect and aggrandize themselves vs building up their community. Going beyond assertion, they move against others in aggressive intimidating behaviors. Becoming overbearing and intimidating to get heard and get their way, they can become bullies. What is Avoided: Since they need to feel and appear strong, EIGHTS avoid any kind of weakness. To show weakness or inadequacy would give others power over them. They are slow to show their feminine, compassionate, kindly, gentle side. While it is easy for EIGHTS to express their anger, they find it difficult to express their tender warm emotions or their fragile feelings like fear, sadness, and embarrassment. Being comfortable with moving against others, they find it difficult to move towards or away from others. Defensive Maneuvers: EIGHTS ward off any tender feelings or manifestations of weakness by denial. They simply deny any presence of what they consider to be weakness, such as kindness, considerateness, sensitivity, etc. They debunk and put down any show of sentimentality, suffering, error, etc. Childhood Development: Some EIGHTS may have had caretakers who were aggressive or abusive, and so they learned how to fight by imitating them. They learned that the world was a hostile or unjust place and the way to survive was to be tough and make sure you were treated fairly. If they had to seek vengeance or get even to maintain the balance of power, then so be it. Mistrusting incompetent authorities, EIGHTS felt secure when they were in control. They understood they had to stand up for their own rights and not count on others to do so for them. They learned they had to stand up to people. Non-Resourceful State: When EIGHTS are under stress, they try to be tougher, more aggressive, more in control. If their influence doesn’t work on others, they may turn their power against themselves, beat up on themselves, get depressed, and withdraw. Instead of exploding, they implode their energy and isolate themselves. They may feel inadequate and unable to influence the situation. They may intellectualize instead of sympathize. They may exaggerate their independence even more and not let others support or comfort them. Resourceful State: When EIGHTS are in a resourceful relaxed state, they believe that the world is just and that justice will come about without their having to seek vengeance. They trust others and respect their rights as much as they demand respect for their own rights. Assuming an attitude of innocence, they use their power to build others up and help them vs intimidating or debunking them. In touch with their tender gentle side, they are compassionate toward themselves and others. They personify the saying: There is nothing stronger than true gentleness and nothing gentler than true strength. I am therefore I am powerfully present replaces Yeah, though I walk through the Valley of Darkness, I shall fear no evil, for I am the meanest SOB in the valley. Core Value Tendency: NINES are attracted to and value peace, harmony, and unity. They desire to make the world an ecumenical, harmonious, conflict-free place to live in. They like being peaceful, calm, and ordered and prefer to go with the flow. The universe is unfolding as it should and they see no need to push the river since it’s flowing fine by itself. Being at one with yourself and your surroundings is what life is all about. Adaptive Cognitive Schema: The objective vision that keeps NINES aligned with their true nature and with reality is the realization of their unity with the universe and their functioning according to the same laws that govern everyone else. This gives them their sense of peace, harmony, integration, and oneness with all reality. They further believe that the laws of the universe are warm and loving (vs cold and indifferent) since they have given birth to organic, living, warm creatures. Teleology is built right into the laws of the cosmos. There is a value and meaning, a purpose and direction that is manifest in all that is. Adaptive Emotional Schema: The state that accompanies the NINES’ objective paradigm is action, love wishing to pass itself on. Action flows naturally from a sense of gratitude for being loved, from the recognition that one is capable of loving, and from the desire to do something in return. Action arises when individuals want to actualize and transcend themselves by connecting with other people and with the Source of the universe. Adaptive Behavioral Schemas: Behavior that flows from a realization of being loved and loving, responding gratefully, and appreciating harmony, includes the abilities to reconcile opposites, find agreement, be diplomatic and allowing, and have an intuitive sense for when things fit together. NINES are easy going, calm, reassuring, non-pretentious, and relaxedly focused. Maladaptive Cognitive Schema: When NINES exaggerate their peaceful qualities, they over-identify with the idealized self image of I am settled. To compensate for a maladaptive belief that they are not important enough to be cared about or don’t matter enough to be listened to, and to keep themselves from feeling neglected, NINES develop an attitude of resignation: “What’s the big deal? Why get upset? Nothing is that important. We’re not around that long anyway. Whatever we do will be undone eventually so why exert so much effort?” NINES settle in for the duration and go on automatic pilot. They neglect what is most important to them and fidget with distractions. Maladaptive Emotional Schema: Along with the disposition to neglect what is essential, NINES experience the passion of indolence. They turn down their energy, settle into a comfortable routine, procrastinate, diffuse their attention, and don’t take care of business. Maladaptive Behavioral Schema: Perceiving the world as neglectful and indifferent, and feeling indolent about what matters most to them, NINES merge with the identities and agendas of others and forget about their own goals and desires. They lose themselves in the opinions, feelings, and aims of others. What others are thinking and pursuing become more compelling than what they want. Postponing decisions and actions, NINES let their life take its course or let life happen to them. They become inattentive and fall asleep to their deepest desires. What is Avoided: Because they are trying to be settled, NINES avoid any kind of conflict. They don’t allow themselves to get too enthusiastic about anything important. They avoid differences and highlight sameness and agreement. It’s difficult enough for NINES to locate their own ideas, feelings, and ambitions, let alone to assert them and act on them. NINES avoid focusing, discriminating, and prioritizing. If everything is the same, it’s difficult to make a decision. At the same time any decision they make has equal merit or weight. Defensive Maneuvers: NINES ward off conflictual impulses and situations by numbing themselves and those around them. This is called narcoticization. When NINES say it doesn’t matter, they are also implying they don’t matter and you don’t matter. One way to avoid disappointment is to lower or eliminate your expectations. Nothing can hurt you if you don’t let anything matter or get to you. Childhood Development: NINES were the non-noticed children. They sensed their caretakers didn’t pay enough attention to them, had other more important things to do, or, perhaps, didn’t love them or care about them. Just as their caretakers neglected them, so NINES learned to neglect themselves. Instead of expressing themselves, they distracted themselves. Instead of feeling the pain of not being sufficiently cared for, they resigned themselves for the duration, numbed out, learned to not let things get to them, and assumed a laissez – faire attitude. NINES were the not noticed children. Non-Resourceful State: When NINES are under stress, they become more resigned, more shut down, more asleep, and avoid their issues even more. They put off doing what needs to be done, engage themselves with inconsequential activities, daydream or sleep more. If that doesn’t work, they may become obsessive and compulsive about the work they’re doing. They may become overly responsible, dutiful, scrupulous, fearful, ruminative, worrying. They doubt themselves and seek the affirmation of some outside authority. Resourceful State: When NINES are in a resourceful relaxed state, they focus and differentiate instead of distracting themselves or merging and becoming confluent. They stay awake and are aware. They are prompt and act decisively. They don’t put off until tomorrow what they can do today. They express their own opinion, feeling, preference. They believe they are loved and cared for and start caring for themselves. They think of themselves as being successful, professional, efficient, and competent. They believe they do matter and their actions in the world make a difference. Unblocking their feelings, they let their own energy flow into action instead of living off of others’ energy. They assume an active stance, allowing their love to pass itself on through action. I am therefore I matter replaces I don’t matter, so what’s the big deal?